Unfortunately, the number of breast cancer cases is rising year after year. I’m no medical expert, but I think a large part of this is down to a shift in the way women approach life nowadays. These days, there are more professional women than ever before, with millions of us working long days and living busy lives. As such, there’s less time to really take care of our bodies and listen to what they’re trying to tell us. So, problems like breast cancer can manifest before we have a chance to do anything about it. Most people think that scans are only for the unfortunate people who have cancer. But, you can help prevent this problem by getting full body cancer scans every year. A radiologist can look at your body scan and see if there are any irregularities that are concerning. As a result, they pick up on breast cancer way earlier than you would if you didn’t have the scan. Going for one of these once or twice a year can detect an issue early on, making it far more curable. Perhaps the easiest thing you can do is perform a breast exam on yourself every month. All you have to do is have a feel around for any irregular lumps or things that just don’t feel right. The moment you notice something that hasn’t always been there, you should call a doctor. Get it seen to, and you could catch breast cancer at the first sign of it. This makes it so much easier for medical professionals to cure, ensuring you make a full recovery. The chances are you will find lumps now and then, but they could be nothing serious at all. Still, it’s well worth seeing a doctor when you find them, just in case. take up smoking as a stress-relief method during their busy days. If this is you, then find new techniques to relax and de-stress that don’t harm your body. The same goes for alcohol - limit your consumption, and you will reduce the risks of getting breast cancer. Active women are less likely to develop breast cancer than those who are unfit and overweight. There are links between obesity and cancer, so make sure you maintain good physical fitness by exercising regularly! It’s not a nice thing to think about, but the sad reality is that this problem is becoming more prevalent in modern society. As busy professional women, we can’t afford to forget about health issues like breast cancer. So, make sure you keep these things in mind to help prevent it from causing long-lasting health problems. I have a hard time staying true to a 365-day devotional because life gets really busy. As a mom to four children I just do not feel like I have the time to read lengthy devotions, but these three are very inspiring and not too lengthy in words. 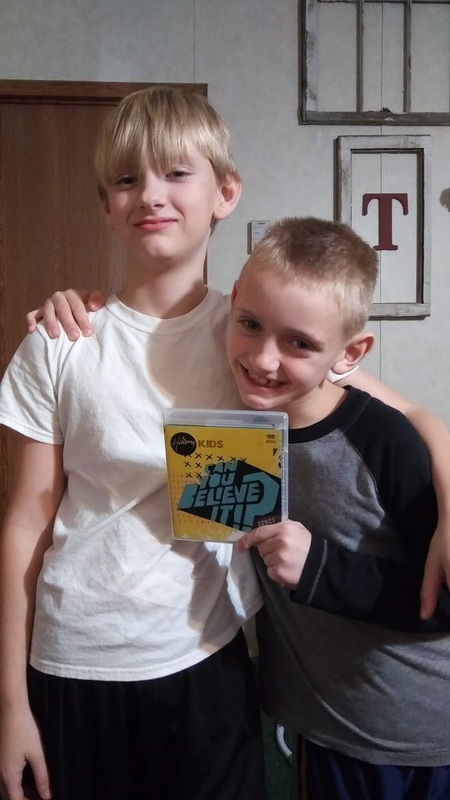 They are only about two to three paragraphs long which make it a breeze to read fairly quickly when you have small children running around the house, but the desire to please the Lord is also there. The paper is a great quality and thick enough that you could use markers or a heavy ink and it not bleed through. I enjoy the amount of space that each page leaves for you to write your own thoughts or prayers. There are about nine lines per page for you to do your own journaling in. 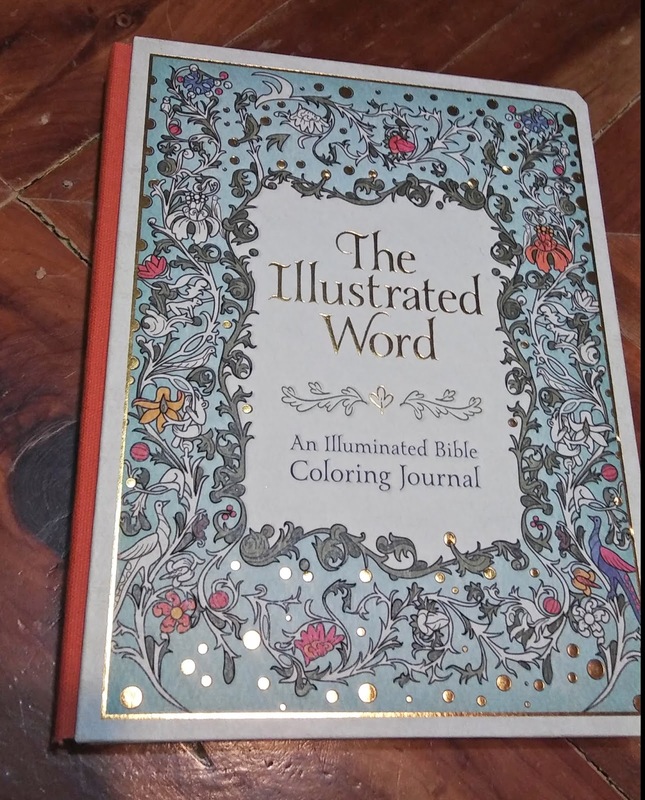 For those of you who like to do Bible journaling this is a great option to include along with your Bible reading. I also like the mini prayer prompts provided to get you started in case you are struggling to come up with your own. Each Journal has its own theme that really matches the outside cover. The covers are hardbound but also semi-flexible. I enjoy that it comes with an elastic closure for those of us who like to stuff their books with extra pages of notes or cards. Sometimes using embellishments in my journaling can make a book pretty chunky, so having the elastic closure is a really nice feature so none of my items Fallout and to keep the book closed. I received all three of these 365-day devotionals from the publisher in exchange for my honest unbiased review. It’s nice to be happy. And we should all be allowed to be happy. Yet, it’s not always something that comes that naturally to us all. Now, some people do suffer from a chemical imbalance. And this can mean that they suffer from an illness, like depression, and that’s not quite what we’re talking about here. What we are referring to, however, is the low feeling. Feeling low in energy or demotivated or sad for no reason at all. And it can happen to us all. Maybe you’re going through something, or you’re eating junk, or the weather is getting to you and you’re suffering from the winter blues? When this is the case, you have to start looking after yourself and do something about it. Otherwise, you might stay this way for a while. So let’s take a look at some things you can do. To start with, as much as you might not want to do this, exercise can really help. If you can get a bit of blood pumping around your body, and you start to feel good, it’s going to help you to turn your mood around. So go for a walk, dance, run - do whatever is going to give you a bit of life back. Now, it might be that you’re just spending too much time alone. When you feel lonely or isolated, you’re going to want to do something about it. So get out there. See your friends and family. Make plans. Go for dinner - just surround yourself with people so you can laugh and enjoy yourself a bit more. But sometimes, you just need a quick fix. And when this is the case, you’re going to want to be able to perk yourself up in just a few minutes or so. To do that, you might find that if you try these hacks, that it might work out better for you. Because playing some music, moving a little, and getting yourself some sun can really help. So think about the little wins that can really perk you up. It could be the case that you just need something to look forward to. If you feel as if you’re drowning in work and you have nothing in the future, then of course you’re going to feel low. So change that. Book tickets to a show, go on a trip, book a big vacation. Just think about doing something that will make you feel excited again. And finally, one of the last things you can do here, is work on your mindset. In fact, this is probably going to be the one thing that really changes things for you. Because if you’re stuck in a vicious circle of feeling this way, then something really has got to give. So think about improving your mindset and adopting a new outlook. When you do, and you’re being more positive and grateful, you’re going to find that your whole world starts to change. Ah, Thanksgiving. Who’s hosting a dinner? Did someone say no drinking? Admittedly, this might sound a little counterproductive at first, but the more you drink during Thanksgiving, the hardest it’ll be for you to make the most of the holiday. Why so? Because – to put it in a few words – you’ll end up eating an awful lot of food. Turkey, stuffing, pie – the typical components of a traditional Thanksgiving dinner – are not exactly famous for their delicacy nor lightness. As silly as it might sound, you want to help your body to digest your festive meal, and that begins by staying off the wine. Indeed, the feeling of discomfort will exacerbate your stress. Drinking more water during the dinner will make a significant difference in how you feel afterward. Indeed, wine and especially white wine can easily tip the balance of your gut, which will be already severely challenged during the indulgent Thanksgiving feast. The best time to book an energizing holiday is just after Thanksgiving. Indeed, the next family holiday, Christmas, is the next big stressful event before the end of the year. You want to relax and recharge your batteries before it happens. Firstly, this will help you to go through Thanksgiving with a happy mindset, knowing that you’ve got a cozy studio apartment for rent in a sunny country, waiting for you after the festive holiday. As a rule of the thumb, you want to pick a warm region as direct sunlight exposure can significantly affect your mood and your mental health. There’s nothing like a quick getaway to get rid of your worries before the Christmas race. Seriously, do you have to prepare that much food by yourself? One of the common mistakes that every host is going to make at least once in a lifetime is to assume that they need to cook everything by themselves. Unless you work in a hectic kitchen environment, it’s fair to say that you may not think that cooking and cleaning after your guests are an enjoyable part of the Thanksgiving celebrations. Even enthusiastic home cooks agree that hosting a party can be stressful when you have to plan the food. But nothing is stopping you from asking your guests to give you a helping hand. Share the work by having someone bring a dish of stuffing – or dressing, depending on where you’re from – or even a sweet potato casserole. Thanksgiving is a family holiday. As family holidays go, it’s one of the most difficult as it can lead to frustration and arguments. People experience strong and conflicted emotions and struggle to maintain family relationships. You can’t avoid conflicted sentiments, but you can keep the family peace by developing a mindful approach. Recognize that the conditions for the gathering may not be ideal as they expose differences in income, standards or even opinions. Identifying your triggers can also ensure that you can defuse any pressure before it’s too late. From a slightly overcooked turkey to not knowing what to talk about, many factors could lead to party hosting anxiety. You need to take a step back and consider your position. You’re hosting a party to see the people you love. Nobody is coming to scrutinize you. People come to your Thanksgiving party to see you. Relax and enjoy the time together, even if things are not as perfect are you want them to be. Most of the Thanksgiving stress is self-inflicted. Admittedly, knowing it might help you to become more mindful of your emotions, but it’s unlikely to erase your stress. Relax; you can share the tasks and keep your guests happy. Besides, there’s nothing that a post-Thanksgiving getaway can’t solve! I was given the opportunity to review these three journals by Ellie Claire. It was such a priviledge to receive these books free to give my honest review. These three journals are great for gift giving or to keep for yourself to deepen your walk with God and to help brush up your artistic skills. 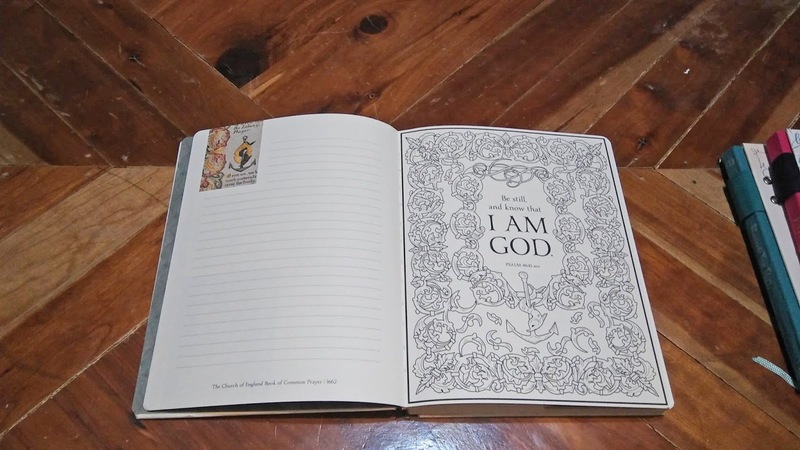 Many people use art inside their Bibles or a separate journal such as these as a form of worship. God wants us to use our talents and abilities to worship Him and this is a great way to do that. And I will say that if you are not very artistic but want to experience worship in this way, these journals are awesome for that! I will explain below why I feel this way! The first Journal that I would like to share with you is The Illustrated word. 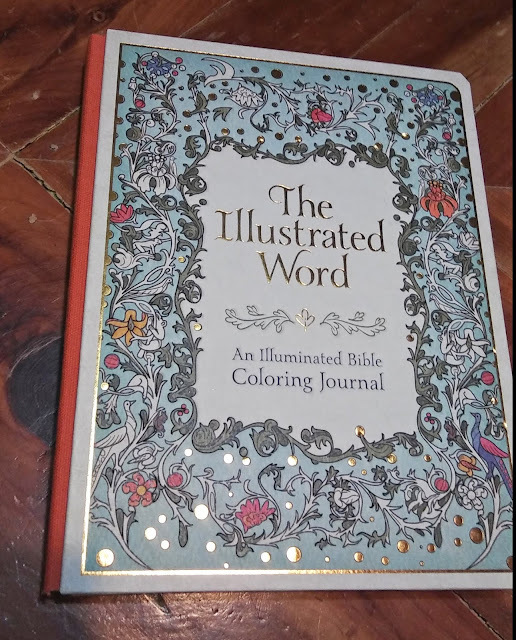 It is a Bible coloring journal book. I am not sure how many pages there are total because there are no page numbers within this book. The paper is thick enough you can use markers or even possibly light watercolors without bleed through. But be sure to prep your pages just to be on the safe side with clear Gesso. 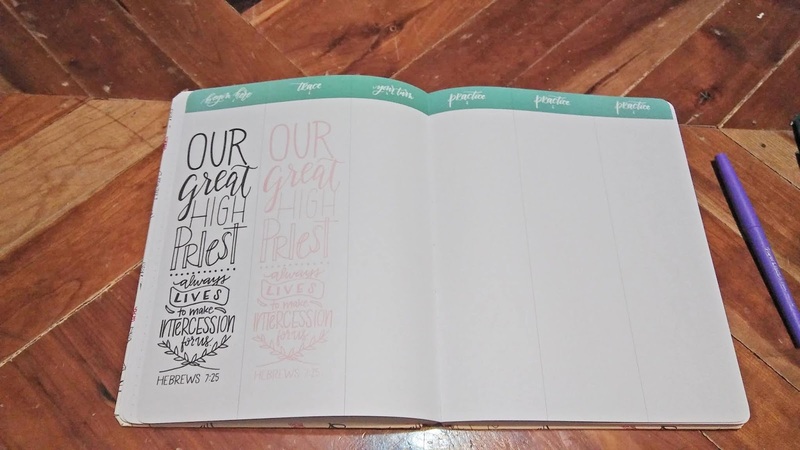 There are plenty of pre-drawn pages for you to color using markers or colored pencils to help you get into worship without worrying about your ability to draw. 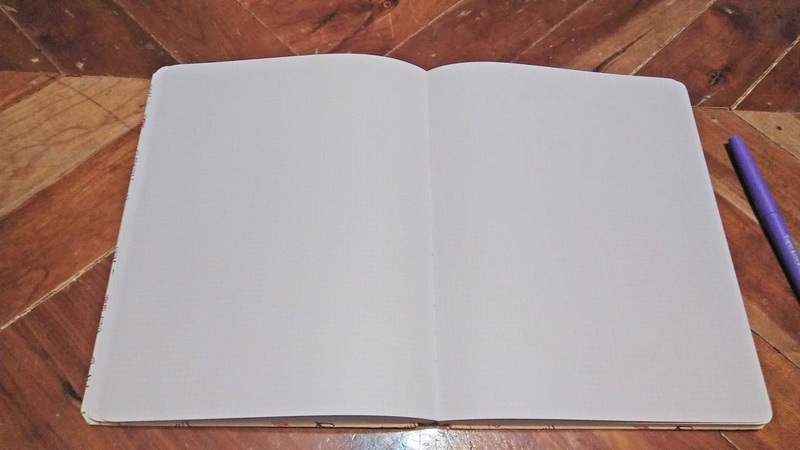 But there are also plenty of blank pages for you to draw your own things or write out your thoughts, or study notes. 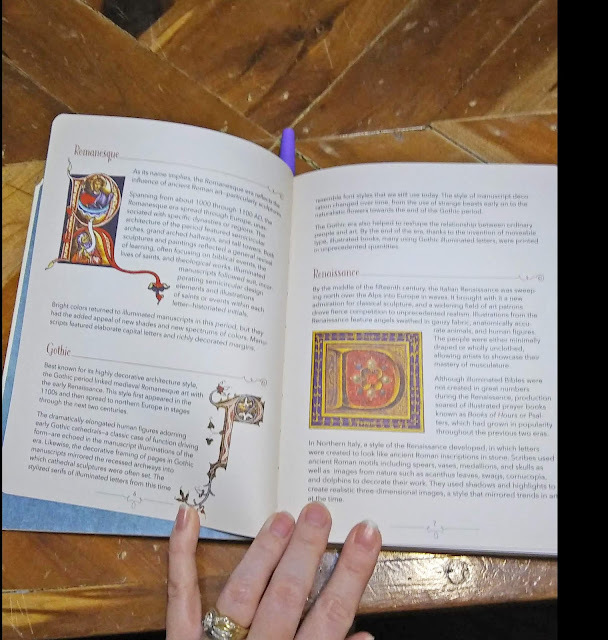 This particular journal has a Medieval theme to all its images which I personally do not care for to much, but I understand that this was an important time period for Christians and thus why this was included. This journal could be used for all age groups since it has pre-drawn images and I plan to give this to my thirteen year old daughter for Christmas. 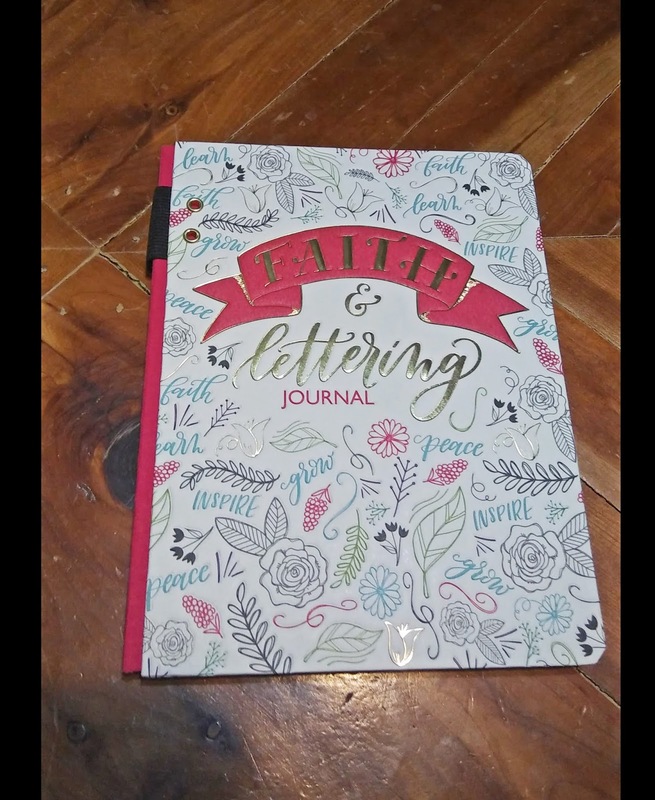 My favorite of the three is, The faith and lettering Journal. This particular Journal has gold foil lettering on the outside which is really nice. Right inside the front flap is an introduction on what faith in lettering is and how to use the book along with some creative ideas which comes in handy for newbies. 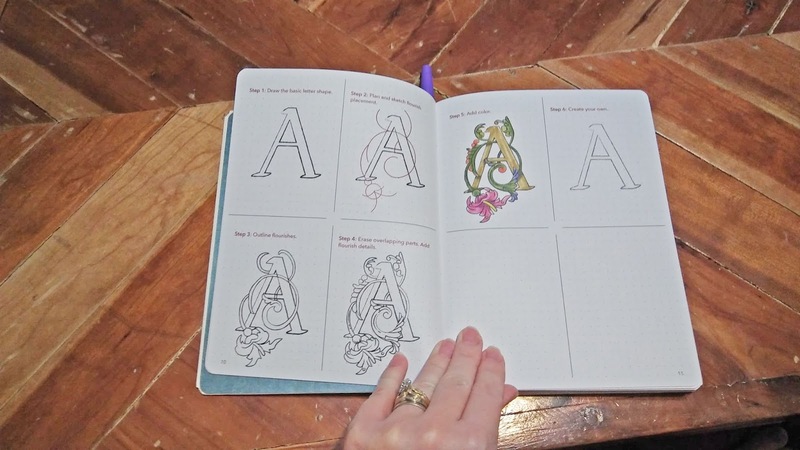 I have always enjoyed using various lettering techniques in my journaling but haven't mastered how to do this, so this book will come in quiet handy to help me brush up on my skills. It has the block lettering as seen below, some cursive lettering, and other various designs that is not letters (think swirls and flowers). 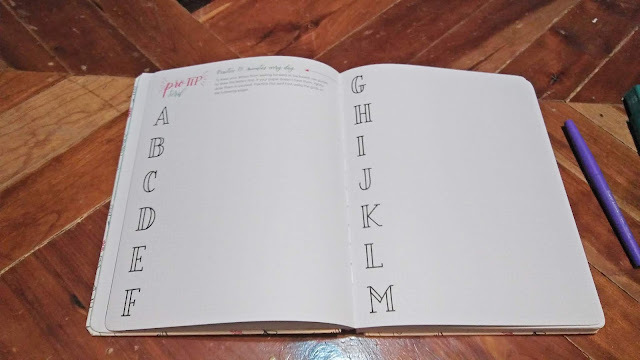 There are plenty of blank pages for you to practice some of the designs and lettering which I absolutely love. There is ample space for you to practice right next to the letters or designs so you can see your progress. The paper is not as thick as the previous Journal so you would definitely want to use a pen or marker that does not bleed through. I did not test this because this is a journal I plan to re-gift and did not want to use any ink on the pages. There are no pockets for you to keep any of your drawings as keepsakes like in the next Journal that I will show you, but there are so many pages for you to create your own art that it is not needed. One of my favorite features is the spine has a pen loop. I am always losing my pens so this feature is such an added bonus to keep my pen right on the journal. 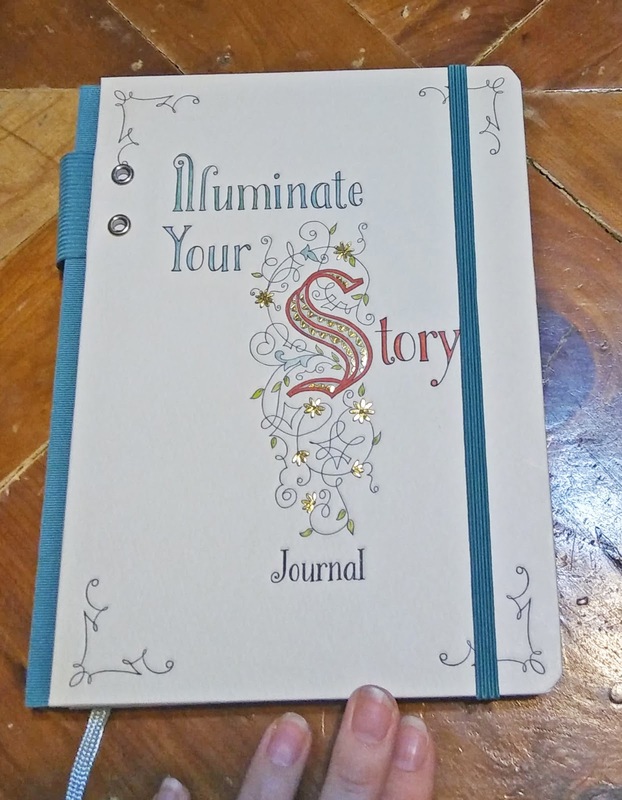 The final Journal that I'm going to show you is called the illustrate your story Journal. Again the outside cover is hard bound with a little bit of gold foil Embellishments. This one also includes a pen Loop for you to store your favorite pen. The first few pages give you a history of The Illustrated letters and the different time periods and styles that are highlighted throughout the book. 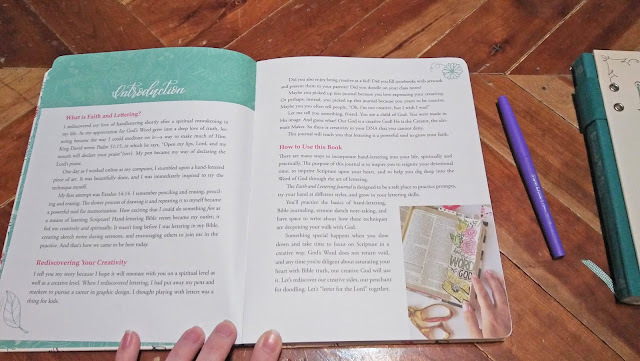 There are also pages that give you ideas on how to use the journal and possibly some supplies that you might want to use which is a great feature for someone who is new to this type of Art. On every other page there is a step by step design showing you how to create the art. Each one has 6 steps and two blank squares for you to create your own after practicing. I would have liked to see more blank squares so you can see your completed works progress. Then there are some blank pages for you to Doodle or write notes or possibly even some devotions. 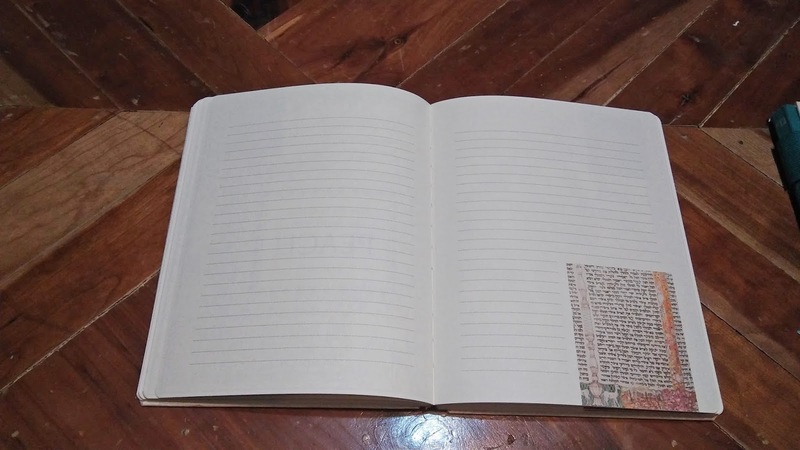 At the heading of the blank pages there are quotes from famous people or some scriptures from the Bible. 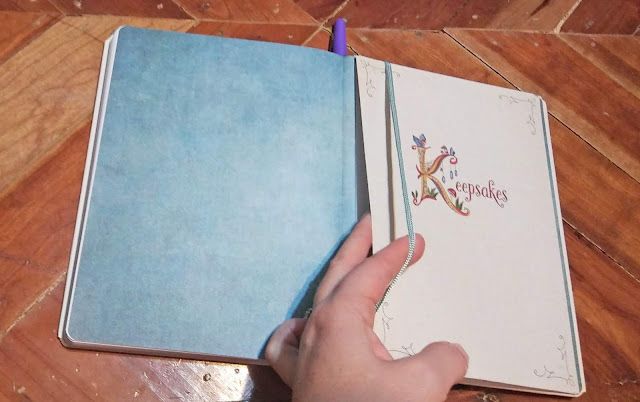 At the very back of this journal is a pocket that says keepsakes for you to store any of your drawings that you may have done on separate pieces of paper. There is a string that I believe is supposed to close this pocket similar to the one on the front of the journal, but mine detached. 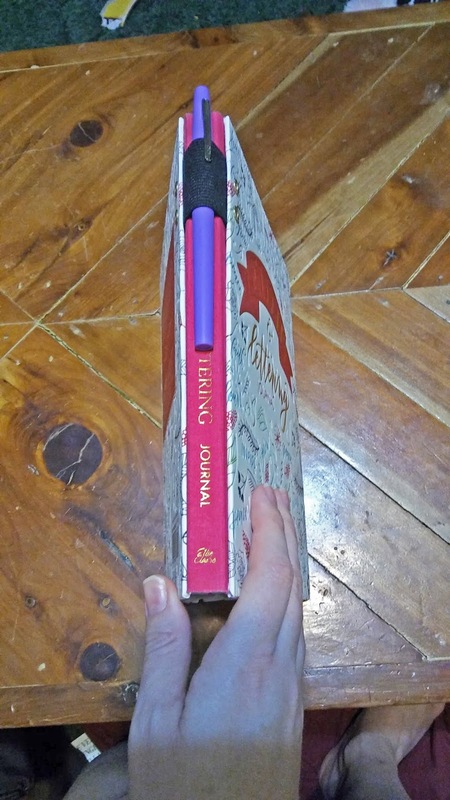 This journal has a elastic closure in the same color as the spine which is a pretty neat feature. The pages are the same consistency as the second Journal, so check for bleed through before using any heavy markers. Of all three journals this is the only one that had page numbering. There are 160 pages to this particular Journal. 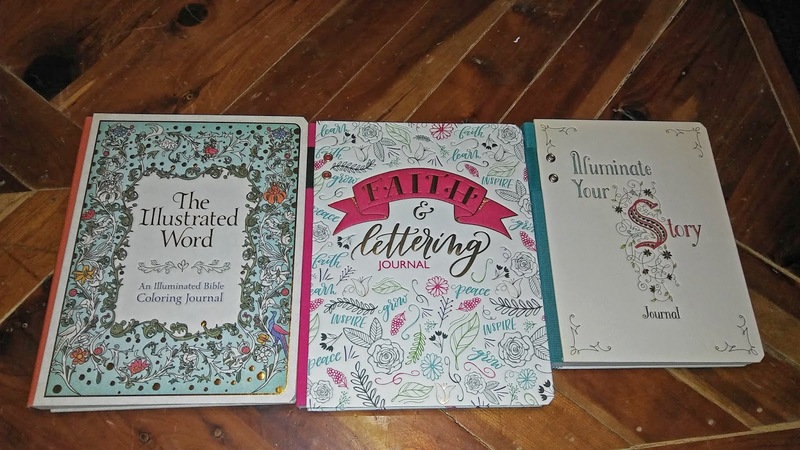 Overall all three journals by Ellie Claire are extremely nice and I would recommend them to anyone who wants to try journaling as a form of worship. I’ve made natural alternatives to most of our household and toiletry products, but homemade shampoo was by far the toughest. I tried the “no-poo” method, which has great results for some, but did not work on me at all. If you have coarse hair that isn’t naturally oily, this method may be great for you! I tried plain liquid castile soap, which left a tangled mess, and I tried a bunch of homemade recipes that didn’t work well at all. Finally, at the inspiration of a natural coconut milk (scented) shampoo that I love, I’ve finally found a recipe that I’m happy with and that doesn’t leave my hair tangled, oily or both. Note: Some people find that a 50:50 mixture of apple cider vinegar and water used as a rinse helps get hair cleaner and increases shine. Have you ever seen a dentist with a bad smile? Dentists generally take the time each day to apply what they've learned and take excellent care of their teeth. Unfortunately, oral health is an issue that's widely neglected nationwide, with many people failing to take their dentist's lead and prioritize taking great care of their teeth each day. Daily care is often the primary thing that determines one's overall dental health. Optimal preventative care can prevent tooth decay, gum disease, and a host of other oral health issues. Don't wait another minute to start taking the best care of your teeth. Follow these steps to take care of your teeth like dentists do. If you have a hard time keeping track of how long you have been brushing, try listening to a two-minute song while you brush your pearly whites. Songs that last around two minutes include "Yesterday" by the Beatles, "Waterloo" by Abba, "Breaking Glass" by David Bowie, "You Really Got Me" by the Kinks, and "Love Me Tender" by Elvis Presley. Flossing is too often neglected between brushing and swishing with mouthwash, but it is a very important part of taking the best possible care of your teeth. Flossing gets rid of decay-causing bacteria that can linger between teeth in areas a toothbrush simply can't reach. It can also get rid of pesky food particles that can cause toothaches and lead to other dental issues. Grab approximately 18 inches of floss each time, wrapping the ends around a finger on each hand. Gently insert the floss between your teeth and behind your back teeth on each row. As you are flossing, press the floss against each side of tooth. If your gums bleed when you start flossing, talk to your dentist, but that is common when people are new to flossing. Most people enjoy the refreshing zing of using a powerful mouthwash to banish cavity-causing bacteria from their mouth. Be sure you're using the right kind of mouthwash for your dental needs. If you experience a lot of tooth sensitivity, you can select a mouthwash that can help lessen it over time. If in doubt about which mouthwash you should buy, consult your dentist. Measure the right amount of mouthwash as indicated on the packaging. Pour it in your mouth and swish vigorously for at least 30 seconds and up to a minute or otherwise as long as directed for the mouthwash you're using. Be sure to spit out the mouthwash after swishing. Don't ever swallow it since some of the ingredients are probably not meant to be consumed. Sometimes what you don't do to your teeth can be as important as the things you do! If you currently use tobacco in any form, do what it takes to stop. See your doctor if needed. Smoking can dramatically increase your risk of oral cancer, tooth decay, gingivitis, and even periodontitis. It's not worth the risk, and it also can cause stains on teeth and bad breath. Finally, in addition to taking steps each day to take optimal care of your dental health, it's important to get regular check-ups at the dentist's office. At Pierpan Family Dentistry, we provide customized care and can help you resolve any dental issue that's keeping you from thriving oral health. We can help you brighten, enhance, maintain or restore your smile. Win the battle against split ends and extend the life of your hair with these five tips. Whether you create a DIY mask from your fridge (half a cup of honey will moisturize dry hair), use coconut oil or buy a mask from the drug store, there are two ways to use it. Most of us wash our hair, apply a mask, wait the suggested time then rinse, and that’s great. But another way to infuse hair with moisture is to apply the mask before washing. 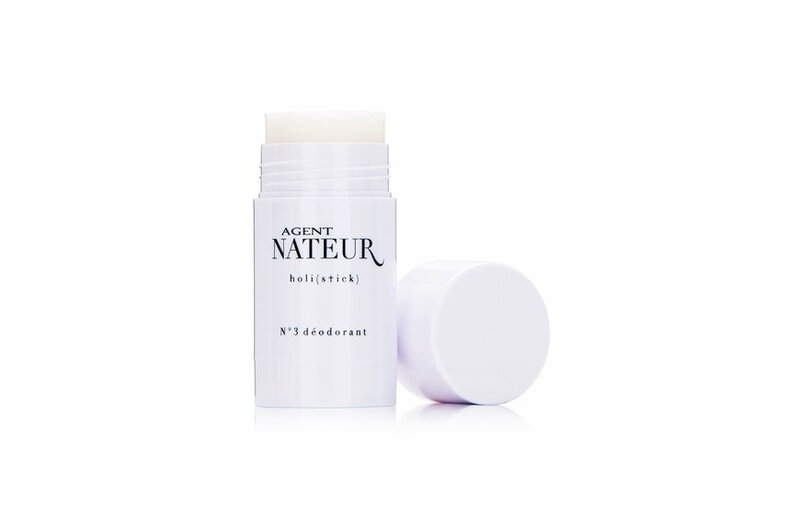 Similar to applying a moisturizing product to the ends of your hair before shampooing, this protects hair while allowing you to add another layer of conditioner at the end. Dry hair may be a symptom of a B-vitamin deficiency. Vitamin B-7 or Biotin, in particular, can help keep your hair and scalp rich in healthy oils that moisturize. A B-complex vitamin, including a range of other healthy B vitamins can help, as can ensuring that you’re eating foods high in vitamin B-7. These include almonds, sweet potatoes, oats, eggs, broccoli, cauliflower, soy, fish, legumes and mushrooms. With developments and improvements happening all the time, many long term spectacles wearers are choosing to switch over to contact lenses. For correcting a vision problem, they can give you back clear sight, plus the freedom to pursue an active lifestyle. As the lens moves with the natural movement of your eye, you can achieve clear vision wherever you look, plus enhance your looks with tinted lenses that amplify or even change your eye colour. 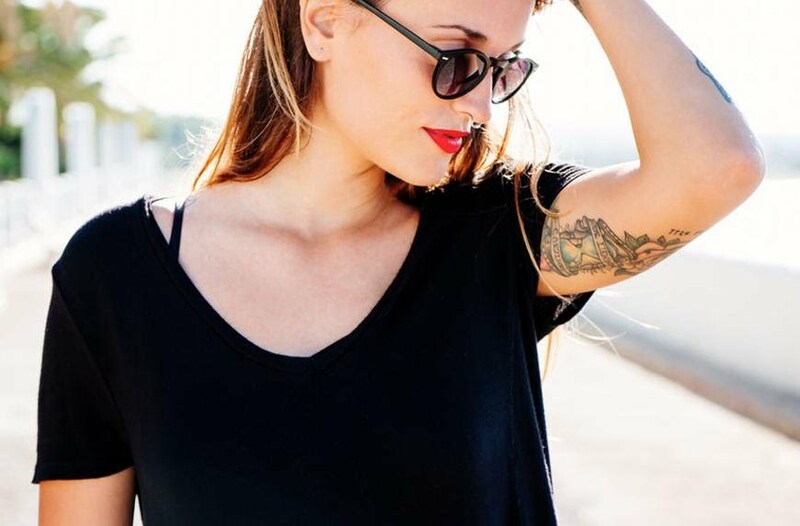 Although the idea of lenses is appealing, a lot of people have a slight fear of putting them in to begin with or do not like the idea of having to touch their eye. You may have fears that the lense will scratch your eye or somehow get lost and stuck behind your eye. Try to relax before inserting your contact lenses - you are much more likely to make a mistake if you're tense. Wash your hands thoroughly so as not introduce any germs. As long as your hands are clean, you don't need to worry about touching your eye. Or if you prefer you can get a tool for putting them in. Be patient as inserting lenses takes a bit of practise and you may need several attempts to get it right. Make sure that you have plenty of time the first occasion you try - you don't want to be running late for something and panicking, as this will make it even harder. Your vision is a precious asset so make sure that you take proper time with your lens care and cleaning and never be tempted to cut corners. There are many different types of lenses available, and each type may need to be cared for properly. Follow the instructions given to you by your optician, as these will be specific to the type of lenses you have. Stock up on multipurpose solution and clean and rinse your lenses after each removal, before storing in a properly sealed contact lens case with fresh solution - never reuse what is already in there. When you're ready to wear them again, empty out your lens case, rinse it out with more solution, and leave it upside down with the cap off to air dry. You can also get single use lenses. 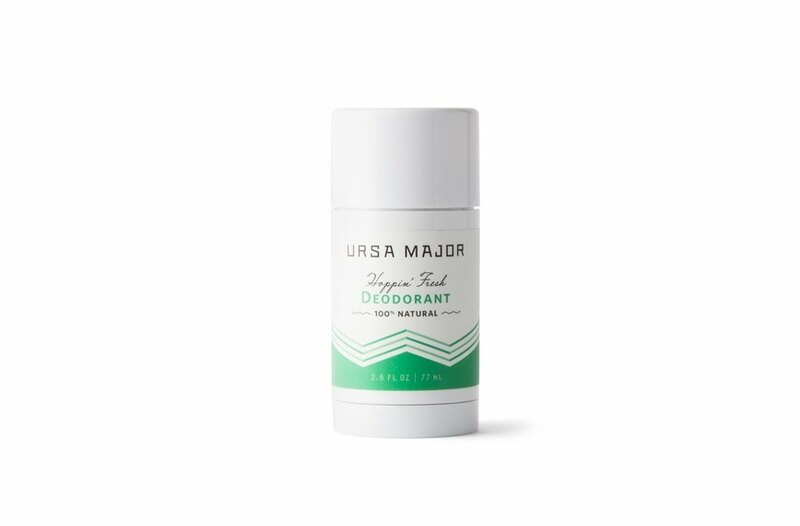 These come in sealed pods that are sterile and can be disposed off at the end of each day, meaning you don't have to worry about cleaning and storing them. These can be a good choice if you wear glasses some days and lenses others. Wearing lenses can leave your eyes drier than normal, so get into the habit of carrying eyedrops or a hydrating spray on eye mist to help alleviate any discomfort. This can be especially important if you use a Visual Display Unit (VDU) all day at work or are working in an air conditioned environment. Also try to keep your hydration levels up in general, perhaps by purchasing a metal water bottle to take around with you. Speak to your optician again to make sure that the drops you're using are compatible with the new lenses you have chosen. Don't rip up the rule book when it comes to your lenses - follow the guidance you've been given at the time of your fitting. You shouldn't swap or cut out any of the products that you have been recommended to use. If you do want to make any variations, it's best to check with your optician first to make sure that there will be no negative impact on the lenses you have been given. Don't skip any scheduled follow up sessions or change the type of solution you are using without speaking to your optician first. Never be tempted to reseat lenses, always replace them as you have been directed rather than trying to stretch out the life of them. Most importantly, never be tempted to sleep in your lenses, no matter how late a night it's been - there are some continuous wear versions but these have to be specifically prescribed.